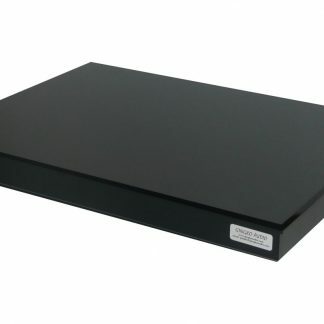 The Semi-Cloud is another entry-level vibration control system. It performs slightly better than the Mini-Clouds and is more stable. 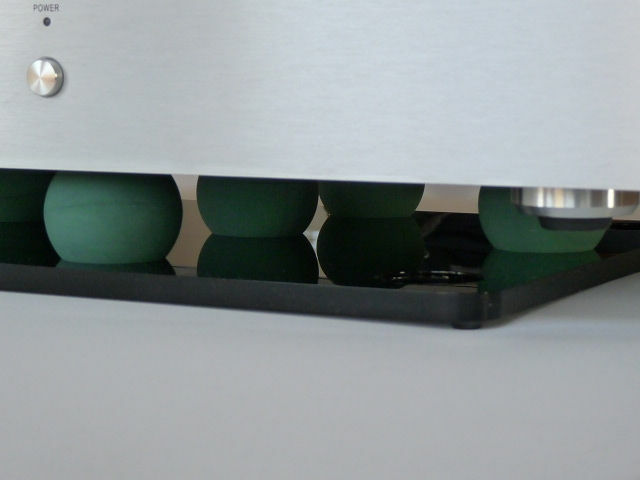 The Semi-Cloud consists of a base plate with nine drilled holes to accommodate the Gingko Audio balls. The underside of the equipment floats directly on top of the balls while the equipment’s feet are lifted off the shelf, thus minimizing the height needed for clearance. The Semi-Cloud comes standard with five balls to optimally support up to 50 lbs. 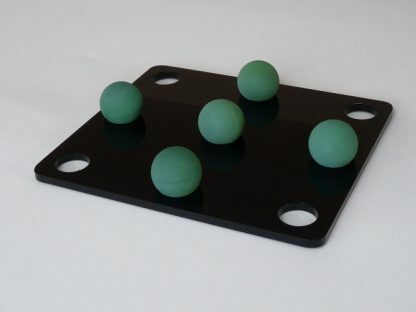 You may order additional balls to support more weight, up to 100 lbs. So there you have it, short, sweet and to the point. 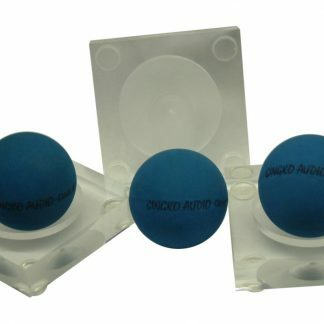 Gingko Audio scores once again with vibration control devices that work very good, are very affordable and easy to use. They are smartly engineered and their performance can be backed up by measurements. Not to mention Mr. Vinh Vu and Mr. Norm Ginsburg have some pretty impressive credentials in the engineering and marketing worlds respectively. And besides, all that plexi-glass looks cool.